Alan Taylor, In The Groove, Stockfisch, SFR 357.8007.1, DMM Series, 180 g LP. Brian Eno, Craft On A Milk Sea, Warp Records, WARPCDD207, 2 x 180 g LP + 2 x CD + 24/44,1 WAV. Czesław Niemen, Katharsis, Polskie Nagrania Muza, SX 1262, LP. Electric Light Orchestra, Time, Jet Records, JET LP 236, LP. Gerry Mulligan&Thelonious Monk, Mulligan meets Monk, Riverside/Analogue Productions, 1106, 2 x 180 g, 45 rpm LP. Kankawa, Organist, T-TOC Records, UMVD-0001-0004, Ultimate Master Vinyl, 4 x 45 rpm 180 g LP + CD-RIIα + 24/192 WAV. Mikołaj Bugajak, Strange Sounds and Inconceivable Deeds, Nowe Nagrania 001, 45 rpm LP+CD+WAV 24/44,1. Queen, Jazz, EMI Electrola, 064-61 820, LP. Wes Montgomery&Wynton Kelly Trio, Smokin’ at The Half Note, Verve/Universal Music Japan, UCJU-9083, 200 g LP. I know such a high level of performance, in fact I'm used to it. I wouldn't like to sound conceited but on the other hand I'm not going to pretend that I think otherwise. I'd rather be perceived conceited as that is more like getting rid of false modesty than as arrogant as that's more of a attitude directed towards other people which is not very polite. All right – I'm done with philosophy. I know this level of performance from the best systems I heard in my life. That means sound as close to perfection as only possible considering capabilities of contemporary recording and audio industry. This performance is in a way „normal”, but also bit spectacular, slightly soft, not as three-dimensional as delivered by SME 30, or Transrotor Argos (I'd also add to this group Avid Audio Acutus Reference and Bergmann Audio Sindre, but without absolute certainty). It is quite close to perfection but still not perfect – there are still some things that might be done to make this SME sound even better. The most accurate description of a sound of this system is very simple – the sound is very natural. There is not much to tell about the tonal balance as it is very close to what I know from the best analogue and digital sources and to some extend to what I know from live concerts. In this case it makes much more sense to discuss each frequency subrange. I'd like to start with the bass. That's often a weak spot of a turntable setup, specially of suspended ones – like this SME 20/3. Neither this one nor SME 30 sound like suspended decks. Just to be clear – it doesn't also mean that they sound like mass-loaders. Bass is very well extended but bit soft. But this softness doesn't come from rounded attack's edges but rather from pursuit of a naturalness. In real life a double bass (also bass guitar) unless slapping and popping technique is used sound quite soft, without obvious source of the sound – you can hear mostly the work of fingers and much less of a soundboard. That's exactly what you get from SME and this whole system. 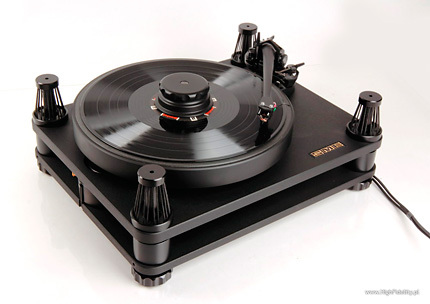 Both the turntable and cartridge are great but big part of a credit goes to Vitus phonostage. I compared it directly with my own RCM Audio Sensor Prelude IC, that so far competed with many great phonostages I tested and never really sounded much worse. Only during this review I realized that Sensor's bass is not so well extended as I thought it was and not so rich either. When comparing analogue setups with the best digital ones (vide Linn Klimax DS ) – most of the former can't offer as rich, and as well differentiated bass as the latter. Sometimes one might think just the opposite but in fact one gets this impression from better midrange and upper bass while the lower bass is in fact not as good. With SME and Vitus this downside of analogue setup disappeared. I don't recall such a fabulous double bass on Mulligan Meets Monk, or on Strange Sounds and Inconceivable Deeds, or an electronic bass on Sounds of the Universe by Depeche Mode. Now I was offered very dense, deep and lively presentation. Changes, changes, changes – that's what music is really about and Vitus (I mean mostly the owner of the company) seems to understand that perfectly. There is a lot of bass and it's very well differentiated. When I compared directly the same recordings (same masterings even) on vinyl and on CD (played by my Lektor Air), I realized that there is plenty of bass but not too much. Air offers even more powerful bass but it sounds bit less natural which creates impression that there is too much of it. This is mostly a problem of recordings themselves, specially those on CDs, but the reviewed system dealt with them swiftly. It looked like fantastic, enhanced resolution helped to extract “something more” from the signal and thus avoided any distortions. It is also extremely clear sound. I thought that usually such a sound comes only from the best digital sources. I was wrong – what one gets from a CD player is less noise, more stability but in fact also less information – and these are the elements that make us think we hear very clear sound. The fact is that most CD players deliver quite “dirty” sound and they try to mask it by either softening the sound or adding some brightness to it. Each of these strategies works well in a different system so if you choose all elements right, there should be no significant problem. 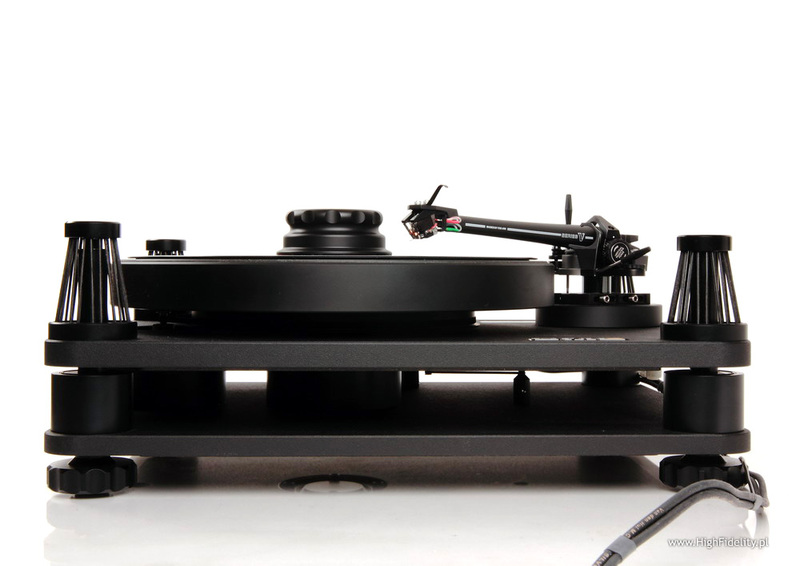 Sound of turntable setup on the other hand is much clearer if only each and every element of this setup allows it. This particular reviewed rig clearly shows what I'm talking about – fabulous purity, clarity of the sound. And when e.g. Hammonds appear on Kankawa's Organist, it sounds both – very soft and powerful at the same time. That's how this instrument really sounds like. Another example - in George’s Dilema piece from Study In Brown album by Clifford Brown & Max Roach the percussion cymbals enter and their sound, the vibrations are very complex, rich with both basic tones and harmonics. One of the things this clarity of the sound does is showing easily quality of each pressing. This is a feature that is not so obvious for me. Whether it is clearly showed or covered by some other sound elements – it is not inseparably connected with particular technology, or design type. 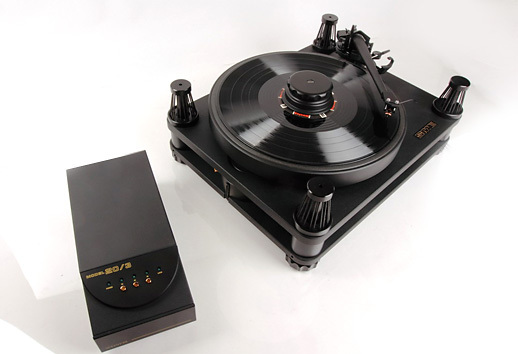 There are nicely, softly sounding turntables with a simple design (e.g. Rega), and other sounding more on the bright side, focused more on precision (e.g. Pro-Jects). Same goes for more complex designs, both suspended and mass-loaders. You might draw some general conclusion like: mass-loaders offer more precise sound than suspended turntables. And that's usually true. But it does not mean it can be applied to each and every turntable available on the market. The reviewed system, and I believe credit goes mainly to the turntable, delivers slightly soft and not so tangible sound, (at least not as SME 30/12 or Transrotor Argos and also Avid Acutus Reference did), but it still manages to clearly show you the quality of recording itself and particular pressing. It was obvious to me when listening to Vattensaga by Tingvall Trio that some mistake was made (and I was pretty sure that it was not in the mastering stage as it had been done in Pauler Acoustics studio, that belongs to Stockfisch label). Sound was not so tangible, not so lively nor deep as the one of CD that I reviewed some time ago (HERE). Don't get me wrong – this sound is good but the sound of CD was referential. Want more? Here you go – the vinyl version of Craft On A Milk Sea by Brian Eno sounded very alike the 24/44,1 WAV file it was pressed from. This becomes even more obvious when listening to the recordings taken and mixed exclusively in analogue domain. Mercury's vocal starting Mustapha (on Jazz, Queen) was accompanied with great reverberations like it was taken in a big room with hard walls. The bands starting to play just a moment after that sounded flat, lifeless, boring. Because that's how it was recorded. Some turntables try to equalize those differences. They do it in one of many ways – either by softening attack's edge, or homogenizing sound, or charming listener with artificially over-saturated timbre. SME and this whole system doesn't do it. I wouldn't call it a ruthless killer of imperfect recordings neither. It's just … truthful, and thus extracting as much music from the record as there is to extract. Even records that offer sound quite far from perfect like Katharsis by Niemen on Polskie Nagrania label, thanks to this rig will sound OUTSTANDING! So what is this sound really like? How is it different from what other systems offer? To be honest this sound is partially intentionally “shaped”. 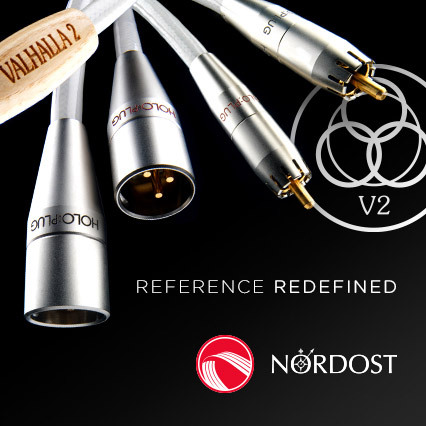 Both cartridge and phonostage make the sound bit more attractive bringing the soundstage closer to the listener and slightly boosting microdynamics. All the events seem to be very active but not because sound is too bright but because it is permanently “present”. Amazing, huge soundstage very close to the listener and totally independent from surrounding room, not restricted by it – all that just complements the effects previously mentioned.